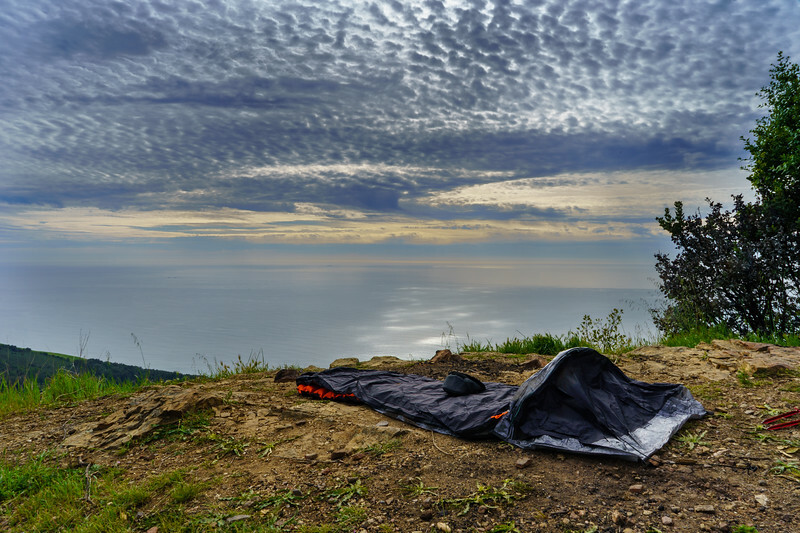 Just south of Big Sur in northern California, you can go free Car Camping in Los Padres National Forest. 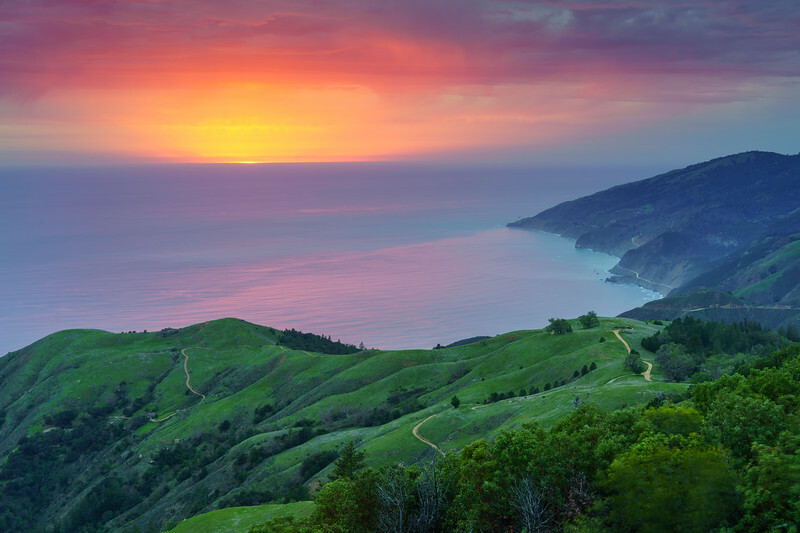 To get there, you will want to get to Nacimiento-Furgusson Road and take the turnoff to the Coast Ridge Trail which is a dirt road. The turnoff can be found on Google maps here. 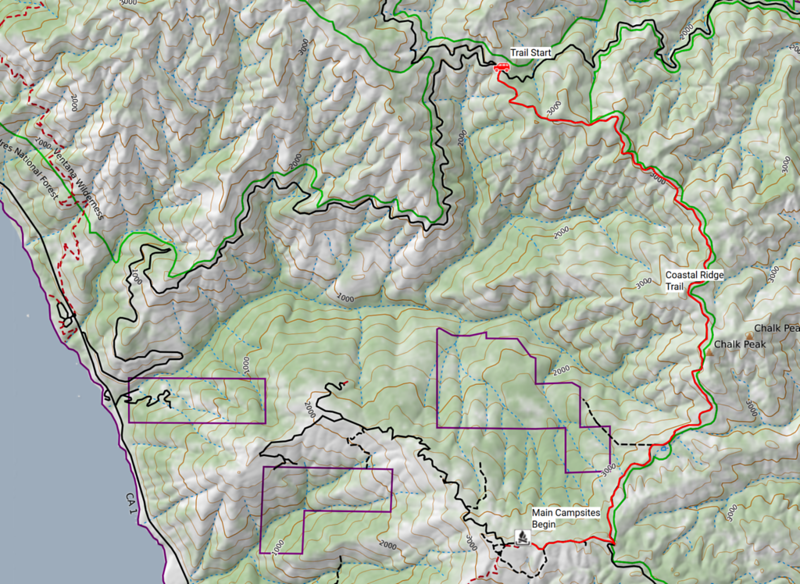 You can download my Coast Ridge Trail map here. Take your time on Coast Ridge Trail it can be bumpy, and I recommend having 4 wheel drive but if conditions are good you can make it up without. Try and get out to the campsite early because they can fill up since it is free and they do not require a reservation. 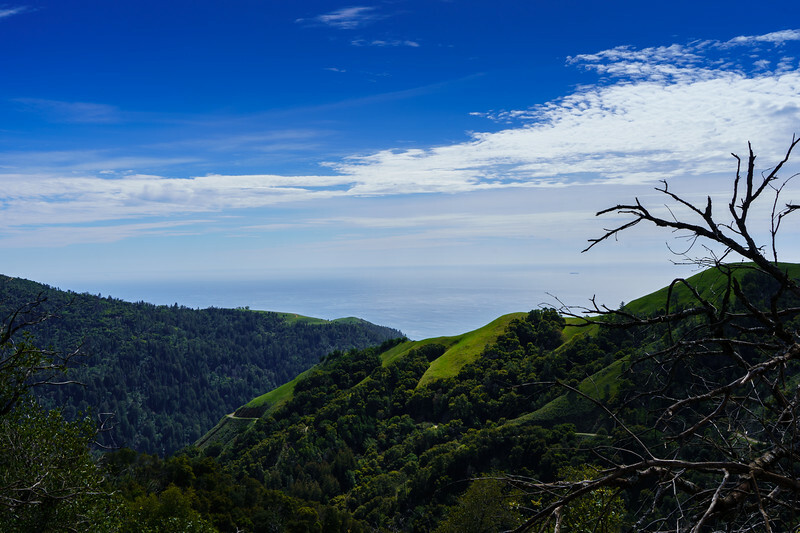 But the views are totally worth it when you get to Prewitt Ridge! If you have any questions about the drive or the location please feel free to ask!